Iraqi Prime Minister, Ibrahim al-Jaafari, talks to Zinda Magazine in Washington: "We deal with demographic reality as geographic reality." 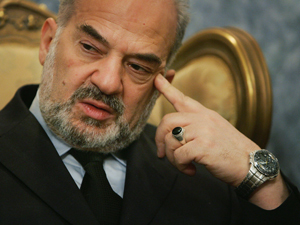 With the deadline for Iraq’s constitution looming only five weeks away, al-Jaafari addressed concerns about unbalanced participation and representation of minority groups in the constitutional process. At the White House press briefing, reporters asked Bush and al-Jaafari about fair representation for Sunni minorities, yet none questioned the continually neglected Chaldo-Assyrian population. One Washington insider claimed the issues of Assyrians in Iraq are contentious and often silenced, perhaps because they pose a threat to the GOP’s claims of progress in Iraq. Because of the increasingly evident truth that Washington is ignoring Chaldo-Assyrians, I felt a responsibility as a privileged Washington reporter and Iraqi-Assyrian to question one of our homeland’s first elected officials on the position of our people in Iraq. As a representative for Zinda Magazine, I asked al-Jaafari what will happen to Chaldo-Assyrians should northern Iraq become an autonomous state, a concern as the term “Kurdistan” grows in recognition. “Kurdistan is going to follow the kind of federalism that the [Iraqi] constitution will determine,” al-Jaafari said. He explained that northern Iraq will continue to answer to the country’s constitution, once a final draft is approved, regardless of the constituent political unit immediately governing that region. In other words, Assyrians will still receive their due rights under the new constitution. And this constitution, he further reassured, will carry over the rights awarded under the Transitional Administrative Law, or temporary constitution. Chaldo-Assyrian rights awarded under the TAL are simple. As a result, community members are earning high-ranking positions in government. Just as the constitution does not differentiate rights by ethnic groups, aid monies will also not be disbursed by ethnic groups, according to the prime minister. And within these regions, Chaldo-Assyrian concerns are being heard. If the prime minister’s demeanor is any indication, our community should have hope. In a private meeting following the briefing, al-Jaafari greeted me, an obvious Chaldo-Assyrian, with a handshake and with humility-- a quality some Washington legislators lack. He requested that I offer his greetings to the Iraqi people of Chicago. The following is the story of an Assyrian-American family living in North Carolina whose father committed a first-degree murder. The victim was his own wife. While no explanation can justify the act of murder of an innocent person, in this and in related cases, social adjustment for Assyrian men in the Diaspora has been very difficult. Perhaps so much material success is expected of them when in fact, they are displaced and have little or no opportunities to be trained. Such displacement deserves understanding and sympathy from the rest of our community, our social organization and churches in particular. The lack of understanding coupled with too high expectations may be what is leading to the fact that we have so many single men and women in our midst. Note that the content of this article may not be suitable for minors. Parental discretion is advised. (ZNDA: Charlotte) It was a fifth-grade essay, the sort of assignment that elicits stories of vacations, sports victories and beloved pets. John Syriani, age 10, wrote about the day his world blew apart. "My mom is the most prettiest woman in the world. I hate my stupid dad he killed her ... I was in the car with her." That day in Charlotte in July 1990, Elias Syriani stabbed Teresa Syriani 28 times with a screwdriver. The next summer, in a case hailed as a victory against domestic violence, a jury sentenced him to die, the first death penalty verdict in Mecklenburg for killing a spouse. John and his three sisters -- Rose, Sarah and Janet -- went to live with aunts outside Chicago. They grew up united in their hatred of their father, on death row in Raleigh's Central Prison. They are adults now. And much has changed since the day John wrote his essay. Last summer, the four traveled to Raleigh and confronted the man who robbed them of their mother and their childhoods. They had come for answers, for closure. But that day, they received an unexpected gift. They believe it came from their mother. Everything made her father angry, 14-year-old Rose testified during his trial. The family moved to Charlotte in 1986, leaving Calumet City, outside Chicago, after Elias lost his job as a machinist. In Calumet City, they lived in an Arab community, among Assyrian Christians like themselves. The marriage was at times rocky. Elias sometimes struck Teresa. In Charlotte, things got worse. Money was tight, and Teresa's decision to take a job at a gas station deli outraged Elias, who held traditional Arab beliefs that wives belonged in the home. Once, Elias tried to hit Teresa with a baseball bat. After that, Teresa took the children to the battered women's shelter, then to relatives in New Jersey. But she soon returned to Charlotte. In 1990, she filed for divorce and got an order requiring Elias to leave their house. Days later, as she drove home from work with 10-year-old John beside her, Elias blocked their path with his van and opened her car door. Armed with a screwdriver, he stabbed Teresa repeatedly in the head, face, hands and arm, according to court testimony. He struck with such force that he drove the tool into her brain. At the trial, John testified that he tried to push his father away from his mother, then ran home and screamed for his sister to call police. "I new that she was going to die," John wrote in his fifth-grade essay. "I didn't sleep for 6 nights. I was so scared that he was going to kill me to." Teresa died 26 days later. She was 40. For years, the children tried to push memories of their father from their lives. They spoke of Elias Syriani as "him," never "Dad." Sarah took scissors and snipped his face out of family photos.Without parents, they helped raise each other and grew up closer than many siblings. After their father's arrest, they lived with his two sisters, immigrants from Jordan like their father. The women spoke little English, so Rose, starting at 13, often served as parent, shopping for groceries and attending her siblings' school functions. With support from teachers, counselors and neighbors, they grew into strong adults. A couple of years ago, Sarah began dating a man seriously. And she realized she was beginning to think more about her father. "I would find myself driving to and from work, and he's in my mind," she recalled. "Am I feeling sympathy? Am I feeling anger? I don't understand it." Of the four, only John, at age 18, had ever visited Elias. But he felt too sorry for his dad to ask about the murder, and his father seemed unready to give answers. By 2004, though, all four children talked of visiting their father together. Their reasons differed. Sarah wanted to rid her heart of anger before she married and had children. Rose wanted to confront her father, to tell him he couldn't hurt her anymore. Their resolve to visit strengthened when they read a biography prepared for his appeal. Written by a Middle East expert who'd interviewed their father, the affidavit described forces that shaped Elias Syriani. Neither his children nor the jurors who sentenced him had ever heard this. Born in Jerusalem, Elias was 10 when his community became part of the newly created state of Israel. Israelis imprisoned his father and released him to Jordan two years later. His family joined him there, but after a mental breakdown in prison, the man never worked again. As the oldest son, Elias struggled to support his family as a mechanic. Home life was grim. Elias said his mother treated his father worse than a dog. Elias immigrated to the United States following his 1974 arranged marriage to Teresa, 12 years his junior. She'd come to America from Jordan several years earlier. In Charlotte, when Teresa took a job and made her own friends, Elias saw his authority slipping away. The affidavit describes his desperate efforts to hold onto his wife and children using the violence considered acceptable in the patriarchal culture he was raised in. Rose, Sarah and Janet read the affidavit and wept. "We had never realized what my father and his family had gone through," Rose says. Their father's past didn't excuse his actions, but it helped explain the tension and violence that plagued their family. Last August, they flew to Charlotte, then drove to Raleigh. By the time they arrived in a visiting booth at Central Prison, Sarah's stomach felt queasy. I don't know if I can do this, she told her siblings. Before she could back out, a line of inmates appeared behind the glass. And there, among the tall, muscular young men, they spotted their graying father in a red prison jumpsuit. Elias Syriani waved back. His face broke into a smile. Even before he spoke, Rose noticed: This is not the angry father whose dark eyes could frighten with a single look. He has changed, she thought. At first, they talked about safe things. What did he do every day? What did he eat? He asked Rose if she flossed daily. After 45 minutes, Sarah rose to leave so her aunt could take her place. I love you, baba, her father told her, using an Arabic term of endearment. He repeated it. Three, four times. Sarah hesitated. She wanted to respond, but worried it would offend her siblings. She didn't know it, but they were feeling exactly as she was. Please, Janet thought, even if you don't mean it, just let him hear it. I love you, too, Sarah told her father. At that moment, she felt 14 years of hatred leave her. When they returned to the motel, Sarah worried she had betrayed her dead mother. She tried to remember the bad things her father did. She tried to summon anger. It wouldn't come. This was forgiveness, she realized, and it was a gift. "I knew my mother and God were saying, `We don't want you to feel this way.' "
When they returned to prison the next day, their father attempted to explain his crime. He told them he felt he was losing his children, losing everything. Not until the second before he attacked, he said, did he imagine he was going to hurt their mother. All my ways were wrong, he told his children. I admit that. I love your mother, he said. I thank her for bringing my four children into this world. His daughters cried when it was time for him to go. But Elias beamed. These are my kids, he told the guards. I'm the happiest man in the world. Since their visit, Elias has received letters from his children. Janet, only 8 when he killed her mother, is his most prolific correspondent. "Now," she says, "I have the father I've always wanted." This month, the four siblings visited him again. As they become reacquainted, they recognize the traits they share with their father. John, 25, and Sarah, 27, have his sense of humor. Janet, 23, got his aptitude for math. They love hearing his memories of their mother -- memories they had forgotten. And they marvel at how he has changed. The Arab man who once believed women should be married by 18 shocked Rose, now 28, when he told her not to rush into marriage, not to settle. Of 176 people on North Carolina's death row, Elias Syriani, 67, is the third oldest. Only eight inmates have been there longer. His case has been appealed to the U.S. Supreme Court. Syriani deserves a new sentencing hearing, his lawyers argue, because his trial lawyer didn't hire a mental health expert to examine him and present mitigating evidence. A competent defense, they say, would have kept him off death row. The Supreme Court will likely decide in October whether to hear Syriani's case. Chances are remote, experts say. If the court declines, his execution would be set for this year. His lawyers would file a petition for clemency with Gov. Mike Easley. This month, Rose, Sarah, John and Janet came to Charlotte to tell their story at a conference on helping children of domestic violence. Rose now works at a Chicago marketing firm. Janet is an accounting student. They live near Chicago, sharing a house with John, who sells cars. Sarah lives outside San Francisco. She married in February and starts cosmetology school this summer. At the conference, they talked of forgiveness, and how it has allowed them to heal. They talked about how Teresa Syriani would have wanted this. They explained why they want the state to spare their father's life, and what they would say if they could speak to Gov. Easley. "If this execution is carried out, we'll have two parents murdered," Rose told the audience. Sarah wiped a tear from her eye. "We've suffered enough," she said. The UK Branch of the Assyrian Democratic Movement in conjunction with the Jubilee Campaign via Lord Hylton, organised a debate at the House of Lords which was held on Wednesday, 6 July 2005. "Lord Hylton to ask Her Majesty’s Government what steps they will take to protect the legitimate interests of the ChaldoAssyrians and other religious and ethnic minorities in Iraq." The following is a brief background, which will serve to give you a better perspective as to why such a debate was organised. "That the British Government support the creation of an Autonomous Administrative Region for the ChaldoAssyrians in the Plains of Nineveh." The issue of ChaldoAssyrian land that has been illegally encroached upon and/or misappropriated. That all such land be returned to their rightful owners. That the British Government financially support the reconstruction and redevelopment of all ChaldoAssyrian Towns and Villages which were razed to the ground by the Baath regime. Also, to financially support the return of ChaldoAssyrian refugees who have fled Iraq due to mental and physical harassment and to financially support ChaldoAssyrians in Iraq so that they may enhance their security and protection. "To seek further assurances from the British Government that from their contacts with their American allies and the Iraqi Government for specific protection for the persecuted ChaldoAssyrian community." The issue of assassinations of various high-ranking members of the Assyrian Democratic Movement was raised and the British Government was asked to pay closer attention to such crimes perpetrated against our people by well-known assailants, as all such crimes against ADM members as well as other innocent ChaldoAssyrians have hitherto gone unpunished. Chris Mullin: "We have recently consulted fairly widely with a range of leading Christians in Northern Iraq, however, and we can find no significant support for autonomy; indeed, we found significant opposition to it. One of the Christian leaders in Northern Iraq to whom we spoke said the idea seemed to have come from members of the Chaldo-Assyrian community in exile rather than those who live in Iraq. Reference was made to article 53(D) of the transitional law, which guarantees the administrative, cultural and political rights of the Turkomans, the Chaldo-Assyrians and all other citizens, but contrary to what my hon. Friend the Member for Ealing North suggested, it does not include a reference to a self-governing region. Ultimately it is for the Iraqi authorities to determine the proper interpretation of the transitional administrative law; however, in our view, article 53(D) does not imply the right to an autonomous administrative region for one particular group. As I said at the outset, as far as I am aware, Christian leaders in Northern Iraq - and we talk to them - have rejected the idea of an autonomous region, saying that such a proposal would make their community more, not less, vulnerable to attack, and I know that is not my hon. Friend’s intention. One leading member of the community recently described the proposal as "very wrong and dangerous". Stephen Pound MP asks: "The point the Minister touches on - the assertion that the community in exile may be making a statement not in keeping with the one made by the community in Northern Iraq - is of the greatest and gravest significance. Will the Minister give us some suggestion as to who exactly made that statement in Northern Iraq? What statement from what group would convince him that the feeling is more widespread that a safe zone is the only way to preserve not just the culture and community but the very lives of the people whom we are discussing?" Minister Chris Mullin responds: "If my hon. Friend will forgive me, I cannot say who made such a statement, because they did so in off-the-record conversations. I have not been back to check the sources, but I know the identity of the people concerned, and they are extremely prominent. They would probably be well known to many in the exiled Chaldo-Assyrian community in this country. There may well be some people in the Christian community in Iraq who would like such an autonomous region; all I can say is that we have not been able to detect them so far, if any group does hold such an opinion it is, in our view - and it is only our view - a rather small one. Christian Iraqis are well integrated in the autonomous area of Kurdistan, the Kurdistan regional government in Kirkuk and most parts of Mosul, but not the western side of the city, where the situation is difficult and dangerous. In Irbil, some Christians occupy senior Government positions. One is Deputy Prime Minister, another is Minister of Finance. They have a representative in the interim Iraqi Government in Baghdad, who is Minister of Displacement and Migration. A committee has been set up in Ankawa, a Christian village just outside Irbil, to help resettlement of Christians from elsewhere in Iraq. So far, about 1,000 Christian families have resettled in the areas around Irbil and Dohuk provinces. Another 50 Christian families, mainly from the south of Iraq, have resettled in the Sulaymaniyah province. A further 1,000 Christians took temporary shelter in Sulaymaniyah from Mosul during fighting there in early November, but we understand that most, if not all, of them have returned to their homes in Mosul. Progress continues to be made, and I am pleased to report that on 6 and 7 December, the first 70 of 170 Assyrian families that had fled to Baghdad in the 1980s returned to their homes in the Faysh Khabur area along the Syrian border. Some 120 Kurdish families who lived there have left, and we expect the remainder of the Assyrians who fled in the 1980s to return, if they wish to, shortly. Our officials in Iraq regularly meet members of the Christian communities and raise their concerns with the Iraqi authorities. The Iraqi Human Rights Minister, Bakhtiar Amin, who recently met my noble Friend Baroness Symons, is particularly concerned about the issue and we have asked our missions in Iraq to continue to monitor the situation closely." That the Assyrian Democratic Movement does actively seek an Autonomous Administrative Region for the ChaldoAssyrians in the Nineveh Plains. That the ADM actively pursues the return of ALL ChaldoAssyrian land and villages that have suffered from encroachment and illegal misappropriation. That the ADM is actively pursuing the reconstruction of ChaldoAssyrian towns and villages destroyed by the previous Baath regime. We also sent a copy of Mr. Kanna’s letter with an ADM UK covering letter to Dr. Kim Howells, Foreign Office Minister for the Middle East, so that the Foreign Office is fully aware of the position of the ADM, specifically relating to our legitimate claim for an Autonomous Administrative Region. 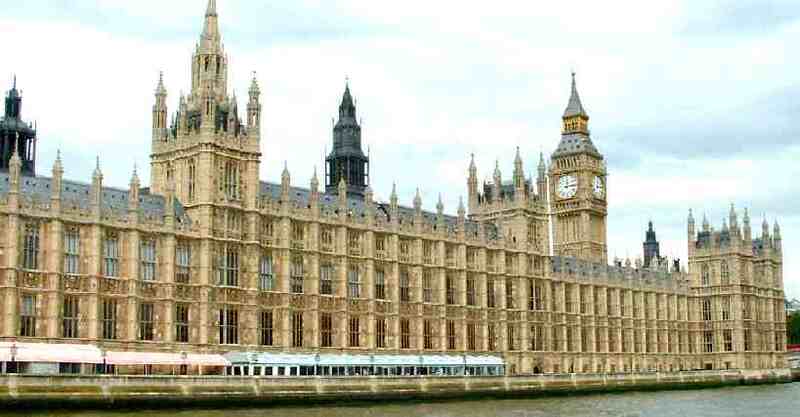 As you may be aware Dr. Kim Howells recently responded to a question tabled by Mr. Edward Leigh MP regarding the establishment of an autonomous administrative region for the ChaldoAssyrians in the usual unsupportive and negative Foreign Office manner. "The conference stressed the need to designate an administrative region for our people in the Nineveh Plain with the participation of other ethnic and religious groups, where a special law will be established for self-administration and the assurance of administrative, political, cultural rights in towns and villages throughout Iraq where our people reside." To read the complete transcript of the debate see the Literatus section of this issue. I would appreciate your efforts if you would report the failure of the Assyrian American National Federation to enforce its own constitution and by laws by its current administration. Assyria struggles for its place in history, its identity and its survival on the dawn of World War I (1915), culminating with the Massacre of Semele by the Royal Iraq Forces on August 8, 1933. (400 pp. Pub. 2005, Iran History Publishing Company, Ltd. Teheran, Iran. Trans. by Dr. Wilson Bet Mansour). Membership would be made directly to the AANF. That person paying money in the amount of $150.00 per person to the AANF would select an affiliate from his region to which he desired to become a member if he complied with local membership rules. Each affiliate, to become a member of the federation, had to have 25 members to join the federation and maintain a membership list of 17 members. Unfortunately, under the old constitution there was no way to determine its members. The requirement of direct dues to the federation from affiliate members would alleviate that problem. No longer would an organization exist with only two members or four husband, their wives and children constituting an organization. In addition, to the direct payment to the federation of $150.00 each affiliate would receive a rebate of $50.00 per member as a form of revenue sharing plus a subscription to the Assyrian Star and a $35.00 credit off of their registration fees at a convention. Once the membership dues were paid by the individual members an affiliate as an organization was required to pay $300.00 dues to the federation. Further, each affiliate was required to provide a list to the federation of the names, addresses, and phone numbers of their members before July 31st of 2004. The new system would become more of a representative democracy. That is, an organization such as the Civic Club of Turlock which boasts 960 members would receive three votes for the first 25 dues paying members and one (1) vote more for each additional member. Thus, if every member in the Civic Club in Turlock paid their dues they would have 41 delegate votes plus two director votes. In contrast, a city like Flint with only 35 members would only have three delegate votes and two (2) director votes at a national convention. This system would make it a more representative democracy where California with a population of 26 Million would have more persons elected to the House of Representatives than Michigan which has a population of nine (9) million. The NEC (National Executive Council) of the Federation would be similar to the senate with two persons (the directors) from each affiliate to conduct business on behalf if the affiliate between conventions. later two are still allowed to participate at the Convention. These new rules were adopted overwhelming at the Chicago Convention in 2003 including the votes of many persons in the present administration and Board of Advisors of the Federation. 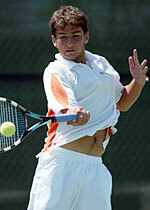 This year, 2005, was the year that the direct dues to the federation were to be paid. Two years were given to implement the program. To date, to the best of my knowledge and belief myself and my sister are the only persons who have complied with this constitutional mandate. The Constitution and Bylaws of the AANF are printed on line (click here). Look for yourself and you will verify what the requirements are. It is the duty of the administration of the federation to enforce the rules of the federation and abide by its constitution and bylaws. However, to date, July 8, 2005, some 23 days before the payment deadline, nothing has been done by this administration to obtain payment of the individual dues as required by the Constitution and Bylaws. It is a sad commentary that our Federation exists on the money it earns solely through the annual convention. If the 3000 members of the AANF represented through the various affiliates paid their dues properly it would generate nearly $500,000 in operating capitol to the AANF. I have been attending convention activities for over forty years. As a child and now as a middle aged adult nearly every program which we sought to implement was unable to get off the ground for lack of funding. I do not suggest that $500,000.00 is a windfall, but it is a hell of a lot better than $10,000 a year collected in affiliate dues and a giant party once a year. But for the registration program which has been implemented the conventions would not make nearly the revenue that they now garner. I hope you will report on this matter in the upcoming weeks before the convention and try to persuade the administration and local affiliates to perform their duty and pay their dues as required. What we Assyrians always seem to do is ignore our own rules and carry on business as usual. I may not like the manner in which the Bush Administration spends my money, but I don't quit or refuse to pay my taxes because of it. Rather, I become involved and try to elect a representative to the Congress who will spend my tax dollars to the best benefit of the American people. This is, representative democracy. The new constitution and bylaws of the Federation sought to bring this fact home to the federation. Rather, than argue over an empty plate, argue over how the money is to be spent for the benefit of our people. A quorum necessary to conduct business at a national convention requires 25% of its membership. That is, between 8-10 affiliates must have provided the names, addresses, and phone numbers of its members and a minimum of 17 members from each affiliate must pay the sum of $150.00 per person ($2550) total plus $300.00 affiliate dues before they can be credentialed at the national convention. If the present administration does not follow these rules as mandated by the Constitution and Bylaws then the Federation will not be able to conduct business for lack of a quorum. As was predicted in our editorial on 31 August 2004, despite all warnings, the administration of Mr. Aladin Khamis, the current president of the AANF, has failed to produce the desired results - some of which are accurately noted in our reader's comments above. The AANF remains trapped in its archaic modus operandi and firmly limited in scope to its semi-successful annual activity - the Assyrian National Convention which it needs to secure a petty budget for the coming year's operational costs. The truth of the matter is that the Assyrian American National Federation is not interested in reforms, since its leadership is unable to administer and implement new changes. In fact the very idea of reform is anathema to the ideology of the current leaders who will not let go of their seats of power (or powerlessness for that matter) and allow more educated and skilled leaders to run the oldest Assyrian national organization in America. It is no secret that the majority of those in power benefit from the present system and therefore have no genuine interest in changing it. Mr. Aladin Khamis, who is now recovering from a serious heart operation in Chicago, would be prudent to hold a conclave of reform-minded individuals in the coming Assyrian convention to assess the current conditions and encourage ideas to speed up the processes of reform. Therefore, to increase the confidence of the 34 affiliates of the Assyrian American National Federation in the central leadership of this organization, Zinda Magazine requests from the office of the president and vice president a full report of the accomplishments of this organization, between September 2004 and present, for the benefit of its readers' interest, in particular those who are registered as members of the 34 affiliates. This publication also requests from the office of the president and vice president a detailed investigation into the failure of this organization in meeting the requirements outlined in Mr. Mark Thomas' letter above. These reports will be published in full in an upcoming issue of Zinda Magazine, hopefully prior to the annual gathering of the delegates at the next Assyrian National Convention. I feel a sense of pride to read in your esteemed magazine the news of a new Assyrian tennis champion. I truly wish the best to Mr. Shabaz and congratulate him and his parents for this great accomplishment. I would like to share my thoughts with him and ask him to stand tall and claim his Assyrianism. 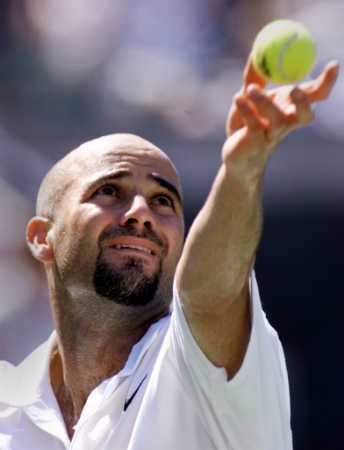 Unlike " his hero, Andre Aghassi - another ASSYRIAN tennis champion". I have yet to see Mr. Aghassi publicly and privately say that he is an ASSYRIAN. 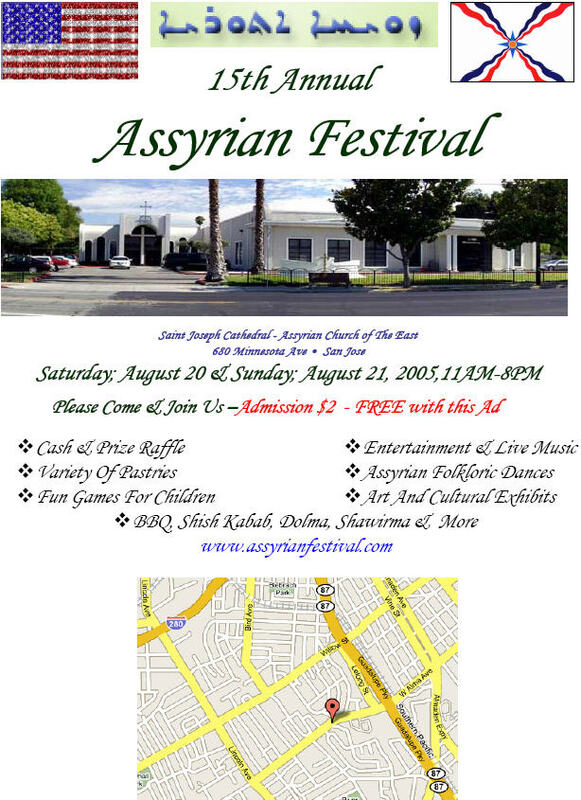 I have yet to see Mr. Aghassi participate at an Assyrian event. Mr. Aghassi shied away from declaring himself an ASSYRIAN. Was Mr. Aghassi ever interviewed by ZINDA and commented of him being an Assyrian? All in all, Mr. Aghassi has stuck his head in the sand and ignored all ASSYRIAN pressing issues that are facing all of us thusfar. Mr. Aghassi has established his own charitable organization (click here). Is there an Assyrian on the board of directors? Has a penny from his foundation been spent on the Assyrian community? On the other hand, have we ever tried to reach him and ask him for help? I bet we have not. If we look around us, we find many wealthy Americans from different ethnic groups pour money into their communities. But unfortunately, we are not that lucky with our HERO, Mr. Aghassi. 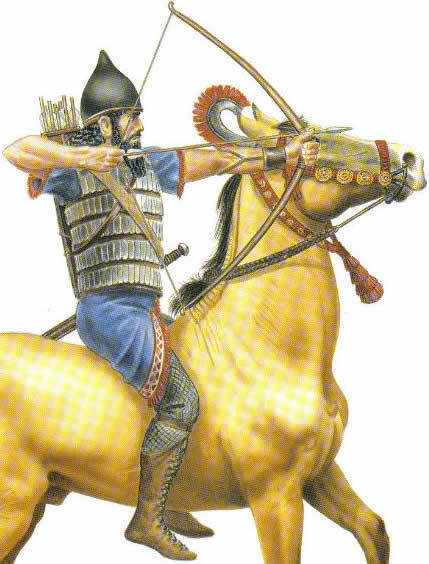 I pray that Mr. Aghassi would feel his ancestor's blood flowing through his body and wake him up to recognize his ASSYRIAN people. Likewise, I pray that MR. Shabaz would prosper and achieve his goals. We will be proud of him all the way. Dr. Donny George just informed us that the project of Makhul Dam, south of Mosul, which threatened to destroy the ancient city of Ashur [Assur], in addition to many other historical sites, has been stopped. The project will be moved to the construction of the Bakhma Dam. He also mentioned that from the beginning the Makhul Dam was not going to be successful, because the soil under the Makhul Mountains is not appropriate for the construction of dams, and that the sulfate under the soil was going to affect the waters behind the dam, which eventually was to water the other cities in Iraq for drinking. Dr. Donny George, an Assyrian, is the director of the Baghdad Museum. For a full report of the Makhul Dam Project see the previous issue of Zinda Magazine. Zinda and SF Weekly Magazine are working on a feature piece that deals with discrimination in the San Francisco Bay Area targeted at Iraqi children over the past several years. If you are a minor living in the Bay Area or your children at school or other community venues have faced discrimination and you are of Iraqi origin, please contact Cristi Hegranes, Staff writer at SF Weekly at 415-659-2071. You may also write to Cristi at cristi.hegranes@sfweekly.com . To watch the debate online, click here. Lord Hylton rose to ask Her Majesty's Government, what steps they will take to protect the legitimate interests of the Chaldo-Assyrians and other religious and ethnic minorities in Iraq. My Lords, I thank noble Lords who will take part in this short debate. I shall concentrate on the Chaldo-Assyrians, leaving other speakers to raise issues about the larger and smaller minorities. In asking this Question, I do not wish to repeat what was said in another place on this subject, on 8 December 2004. I do, however, need to put the Chaldo-Assyrians into their historic and geographic context. Some 800,000 members of this minority have lived in Iraq since early Old Testament times. They are a three- fold minority—ethnic, religious, and cultural. They are a distinct ethnic group, different from their Arab, Kurdish and Turcoman neighbours. They speak Syriac, a form of the Aramaic language that they used when they became Christians in the first and second centuries. Religiously, many of them are in communion with the Roman Catholic Church. They make up some 95 per cent or so of all Iraqi Christians. The Chaldo-Assyrians have suffered severely throughout the 20th century. It is little known that many thousands died during the genocidal massacres of Armenians in 1915–16. The army of newly independent Iraq, in 1933, bombarded Chaldo-Assyrian towns and villages, killing some 4,000 people, mainly women, children and the elderly. Saddam Hussein ordered the destruction of 200 of their villages, including historic churches and monasteries. In 1984, three leaders of the Assyrian Democratic Movement were hanged. I should state that I have been a strong friend and supporter of the Kurdish people, ever since Saddam Hussein's gas attack on Hallabjah in 1987 and the subsequent Anfal ethnic clearance. It is impossible, however, to defend the behaviour of the Kurdish authorities, and the Kurdish Democratic Party in particular, towards the Chaldo-Assyrians after the end of the first Gulf war. Amnesty International reported on that in June 1994. At least five named people are known to have been murdered, before and after that date. Others were assaulted or kidnapped, sometimes for the purpose of forced marriage and conversion to Islam. It seems that no one has ever been brought to justice for those crimes. 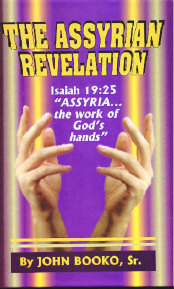 Just as the Jewish people were given a homeland, so it is God's will to give the Assyrians a nation of their own ! To promote and prepare the way for the fulfillment of God's prophecy through Isaiah 19:23-25 for the establishment of the country of Assyria to be the work of God's hand to bless the world. I have with me, and have provided to the Foreign Office, details of 58 confiscations and encroachments on Chaldo-Assyrian land and property in the provinces of Dohuk and Nineveh. Nearly all of these happened since 1991, usually with the approval or connivance of the Kurdish authorities. No redress or compensation has been offered. More worrying are the attacks that the Chaldo-Assyrian community has suffered, after the fall of the Ba'athist tyranny. Over 100 deaths, some followed by decapitation, have been recorded since then, and probably still more woundings and injuries. I have details with me, for the period from April 2003 to November 2004. Concerted bomb attacks were made on some 15 Christian churches, and at least two schools, between June and December of last year. Christian bishops in Mosul and Amadyah have experienced threats of violence, as have students at Mosul University and individual Christian schools. The headquarters of the Assyrian Democratic Movement were attacked by mortars in August 2004. I emphasise that these are not just my facts and figures; they are confirmed by independent sources in Iraq, Britain and the United States. Given the black record of murder and mayhem, it is hardly surprising that some 40,000 or more Chaldo-Assyrians have fled into Syria and Jordan. From there it is likely that many have already moved on to America or Australia. It is vitally important that as many as possible should be enabled to return. I shall say more on that later. Meanwhile, one can easily understand the fears that the Chaldo-Assyrians face regarding complete extinction as a community. They live among old Ba'athist enemies, unsympathetic neighbours, and militant Islamists, whether indigenous or infiltrating from the world outside. Most of those neighbours are heavily armed. "This law shall guarantee the administrative, cultural and political rights of the Turcomans, Chaldo-Assyrians and all other citizens". Your Lordships will note that the Turkomen have powerful protectors of their interests, who share a common frontier. The Chaldo-Assyrians, who were specifically mentioned, deserve the protection of the allied powers and of the United Nations. At the very least they should be able to have primary schools with teaching in their own language. The second request was for the return of land and villages, illegally misappropriated or suffering wrongful encroachment. The third request was for a fair and reasonable share of funds, both external and Iraqi, ear-marked for reconstruction. Such finds have either not been paid to the Chaldo-Assyrian or have been diverted to the benefit of the Kurdish regional government. I suggest that these three requests are not unreasonable. It seems to me that they are legitimate interests, as suggested in the text of my Question. They should do much to encourage the return of Christian émigrés and exiles, who could form one of the best educated, professional and politically moderate elements in the whole of Iraq. I must ask Her Majesty's Government whether they have studied the final declaration of the Chaldean Syriac Assyrian General Conference of October 2003, held in Baghdad. How have they replied to the letter sent to our Prime Minister, dated 20 May 2005, from Mr Yonadam Kanna, Secretary-General of the Assyrian Democratic Movement, who is also a member of the Iraqi National Assembly? That letter set out the three requests already mentioned. It is worth noting that Mr Kanna is the only independent Chaldo-Assyrian in the Iraqi Constituent Assembly and he stood on a platform of regional autonomy. If we take together the two documents just mentioned, it is clear that the request for autonomy comes from the people themselves. It was irresponsible of a Foreign Office Minister to suggest otherwise, when speaking last year. I conclude by urging the Government to use their utmost efforts to ensure that freedoms of thought, conscience and religion are enshrined in the future constitution of Iraq. These are the bare, necessary essentials for a very plural society and would give expression to Iraq's obligations under Article 18 of the Universal Declaration of Human Rights. My Lords, I am very pleased that the noble Lord, Lord Hylton, has asked this Question as I too have become aware of the dangerous situation facing the Iraqi Assyrians. He has described their ancient lineage and some of their long and often tragic history. They backed the allies during the First World War and helped the UK greatly during the protectorate period in Iraq in the 1920s which made them very unpopular with some Iraqis and Kurds. In return we promised them an autonomous homeland when we left, but it never materialised. Since the first Gulf War they have been oppressed both by the Kurds of north Iraq and by fundamentalist Islamists in the south. That has escalated since the second Gulf war, as the noble Lord pointed out. I also have the list of atrocities committed against the Assyrians that he described to us. There has been relentless pressure by Kurds on Assyrians in the Nineveh plains near Mosul—their traditional homeland—to move out. A block has been imposed on Assyrians returning to their homes and land from which they were evicted by Saddam. Crimes against Assyrian people in KDP-controlled northern Iraq have not been investigated. There appears to be a climate of impunity. It seems that the Kurds, themselves victims of oppression, are now oppressing the indigenous minority in their midst. Unfortunately that appears to be a common human trait, both within families and with tribes and nations. "KDP deprives Iraqi Christians of right to vote. The Kurdistan Democratic Party (KDP) . . . has prevented voting by Chaldo Assyrian Christians of the Nineveh Plains . . . during elections for the Iraqi National Assembly on January 30. The KDP effectively blocked the delivery of ballot boxes to at least six major Chaldo Assyrian towns and villages in the Nineveh Plains around Mosul. . . . The resulting unavailability of ballot boxes prevented up to 100,000 Chaldo Assyrian voters from casting their votes and affected tens of thousands of Yesidis, Shabak, and Turkman voters". I suggest that there are two main ways in which the UK could honour its historical debt to the Assyrian people: first, through helping to ensure that the new draft Iraqi constitution, due to be agreed in about five weeks, contains specific provisions that ensure that the Assyrians are recognised as a national minority with a right to representation and the right to live peacefully in the land of their ancestors. That should include the right to return to their land and homes from which they have been illegally evicted. I understand that on this very day the European Parliament is requesting its representative in Iraq to make just such a recommendation. Perhaps my noble friend can outline the role that the UK would play during its presidency of the EU to back up that request. The second way is through our contacts in Iraq with the United States, the senior coalition partner, responsible for the Kurdish areas of Iraq, asking them to put pressure on the Kurds, especially the KDP, to respect the rights of indigenous minorities to the peaceful occupation of their rightful land and property. Many Assyrians feel that they are so vulnerable in the present state of Iraq, that they should be granted a semi-autonomous region, as described by the noble Lord, in the Nineveh plains, where they can administer the law and provide education in their own Syriac language. That is near to what we offered them in the 1920s but did not grant before we left Iraq. It would be wrong to pretend that Assyrians are the only people in Iraq who are suffering; far from it, as anyone who pays attention to the media knows. There is, however, a case to be made that we owe the Assyrians a special historical debt of gratitude and that there are some possible lines of action, as the noble Lord, Lord Hylton, and I have indicated. As a footnote, I would like to point out that it is of importance to some Assyrians that the term "Chaldo-Assyrian" may be confusing since it implies that it only includes the Chaldean-Assyrians, who are Catholics. Using the single word "Assyrian" in any official document would be more clearly inclusive of both the Catholic and Orthodox branches of Assyrian Christianity. My Lords, I also am very glad that the noble Lord, Lord Hylton, has obtained time for this debate; it is not just timely but urgent. Indigenous Christian and other communities have been so often betrayed by the powers playing the "great game" in the Middle East and south-west Asia. We must make sure that the Chaldean-Assyrian and, indeed, other communities are not sold for 30 pieces of silver yet again. On the one hand, these communities have enjoyed a high level of autonomy as so-called "millets" under the Ottoman Empire and, indeed, before then. They are used to ordering their own affairs, having their own religious, political, legal and social leaders and contributing to the prosperity of their country as a whole. On the other hand, as the noble Lords, Lord Hylton, and Lord Rea, pointed out, along with the Armenians, they have been subjected to almost unparalleled brutality, not least in our own times—but not only in our own times. The figures speak for themselves. During the genocide which followed the beginning of the First World War, 750,000 were killed and their lands confiscated, mainly because they supported the Allies against the central powers. In the 1930s again, the Assyrians were targeted by the Iraqi Army and the Baathists refused even to recognise them as a legitimate religious, ethnic and linguistic minority. The teaching of their language, Syriac, which is of course a form of the language spoken by Jesus himself, suffered grievously at that time. The story of oppression has continued to this day. They are now threatened by the Islamist insurgents with forced conversion, kidnapping, assassination and the destruction of their property. The Kurds, however, also regard them, as has been said, as a thorn in the side of a greater Kurdistan. Once again, their land has been expropriated, their villages occupied and their very survival as a community threatened. Christians in Iraq number only about 3 or 4 per cent. Other non-Muslim communities, some of which have been mentioned already this evening, add up to very little more. It is very easy, therefore, to overlook, ignore or neglect such minorities when nations and politicians are playing with numbers—and yet the safety and security of non-Muslim communities is hugely important to the goal of a tolerant and democratic Iraq. It is not encouraging, therefore, to hear that they have been forcibly prevented from exercising their franchise and from participation in the emerging democratic process, even while coalition forces have been present in Iraq. What will happen when they leave? The Kurds must be made to see that what they have aspired for themselves is also legitimate for other communities in Iraq. The smaller communities cannot simply be sacrificed on the altars of self-interest of the bigger ones. I have said before in this House that the future of Iraq cannot be unitary. Its legacy—and those of other territories with an Ottoman past—points to a federalist structure in which the identity, autonomy and even territory of each community will be recognised. Happily, the Transitional Administrative Law (or TAL) seems to hint at this and specifically guarantees the "administrative, cultural and political rights" of the Chaldean-Assyrian and other communities. Such an aspiration must, however, be given practical form. It is true that since the Nahda, or the Arab renaissance, Christians in Arab lands have contributed, out of all proportion to their number, to the emergence of a national identity, and not only in Iraq of course. Such a contribution must be acknowledged and allowed to continue. The security situation is such, and the history is so bad, however, that these communities will only have the confidence to contribute more widely if they have some sort of safe havens of their own. The recent call of the Chaldean-Assyrian-Syriac Conference in Baghdad for an administrative region on the Nineveh plains is an attempt to articulate such a need. It should be noted that even now, the communities are not demanding an exclusively Christian enclave but one which can be shared with others. Such an arrangement would be in keeping with history and with the present security needs of these communities. Her Majesty's Government must make sure that a future Iraqi constitution not only recognises the existence of different communities in the country but also provides for full freedom of belief, expression and worship. If that does not happen, the sacrifice of thousands of Iraqi lives and the lives of our own soldiers will have been in vain. As they say in Arabic Ncud billah—we seek refuge in God, may it not happen! In spite of huge difficulties, the Christian communities of Iraq have been described by Canon Andrew White as full of faith and hope. They are experiencing significant renewal in their lives together. This must be allowed to continue, indeed, to flourish and not be snuffed out by religious or ethnic extremism. My Lords, we all owe a debt of gratitude to my noble friend Lord Hylton for securing this debate on a subject which has been seriously neglected. For various minority groups, including the Christians of various traditions, the situation is extremely grave and I will be echoing and endorsing all those concerns expressed by previous speakers. As has been said, there has been a Christian presence in Iraq since the first century. The country's Christians now comprise about 3 per cent of the Iraqi population, about 85 per cent of whom belong to the Assyrian tradition. They face severe pressures and are under such threat that their very survival is at risk. They face danger daily. Many have already been killed, kidnapped or subjected to such intimidation that they have fled the country to exile in Jordan, Syria or further afield. The first co-ordinated attacks against churches occurred in August 2004. Further attacks have followed. Many of the attacks involve physical violence in which Christians have been killed and others intimidated, for example, with letters warning, "You are not wanted here". Christians have been targeted for various reasons, and partly because they suffer a double stigma. On the one hand, they were seen as favoured protégés of Saddam, who needed their knowledge and skills. On the other, they are now seen as guilty of association with the coalition forces and thus defined by militant Muslims as "modern-day crusaders". Also many Iraqi Christians were educated at Christian schools, where they learnt languages needed for work as translators for the coalition forces. These characteristics legitimise, for some, the killing of Christians and attacks on Christian property. Christians are also vulnerable because they do not belong to large tribes and have relativity little familial protection. Widespread kidnapping is another major problem. Christians are particularly vulnerable here because of their faith and also because they are deemed to be sufficiently wealthy to pay the ransom and to have access to western sources for funds for paying for their freedom. In some cases, a victim was killed if his family had difficulty raising the necessary money. Therefore some Church leaders are afraid to travel to visit their communities for fear of kidnapping. Another very serious problem confronts the Christian community: the fear that the proposed constitution will not allow freedom of worship. Despite assurances by the Transitional National Assembly that the rights of minorities will be protected, proposals to combine Sharia with the so-called "best of the west" in democracy and protection of the rights of minorities are untenable. By its nature, Islamic Sharia law violates fundamental rights and freedoms enshrined in the Universal Declaration of Human Rights—such as the principle of equality before the law and freedom to choose and change religion. As it has been applied over the centuries, Sharia does not allow equality before the law between men and women or between Muslims and non-Muslims. Moreover, while Sharia allows freedom to choose to become a Muslim, that is a one-way street. The decision to convert from Islam is apostasy, punishable by death—dictated by Sharia court, the family or local community. Therefore, Sharia law would have further devastating effects on the rights and freedoms of Christian and other non-Muslim communities in Iraq. One needs only to consider the situation in places such as northern Nigeria, where I was last week, or Pakistan, to understand how serious would be the effects of Iraq adopting a Sharia-based constitution. Last year, I happened to be speaking at an inter-faith conference, where I voiced my concerns about Sharia. I was the first speaker to raise that potentially sensitive subject and I did so with trepidation, worried lest I should offend Muslims present, especially a sizeable group of devout Muslim women from Iraq. After my presentation, I went up to them to apologise in case I had upset them. Their response was unequivocal and enthusiastic: to my surprise, they said that before I spoke, they had begun to think they were wasting their time coming to the conference. They said that they were grateful to me, because I was the only speaker to raise the issues that really mattered to them, including the question of Sharia law. They then added emphatically, to my great surprise, "We hate Sharia". 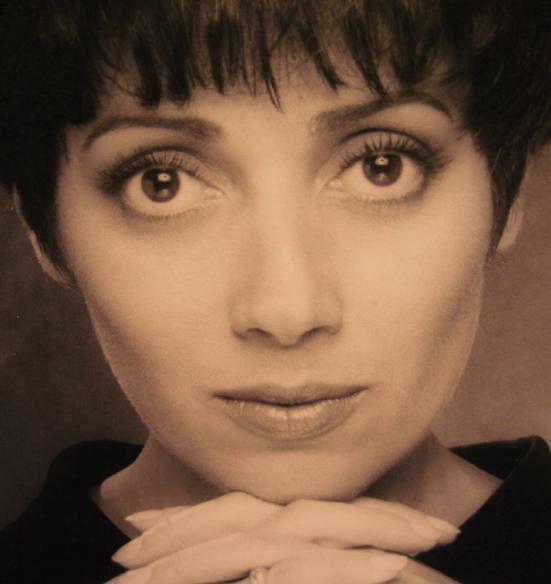 Such passionate feelings about Sharia and its implications for the rights of women have been echoed by other Muslim women—the famous writer, Irshad Manji and the Dutch Member of Parliament, Hirsan Ali. I therefore very much hope that not only Christians' anxieties about Sharia law will be taken into account but those of other Iraqi citizens, especially women. I therefore ask whether the Government will demonstrate a much stronger commitment to the fundamental rights of minorities, including the Christian communities, by putting more pressure on the Iraqi authorities to provide systematic protection for all minorities, so that all can live, work and worship in peace and safety. Will the Government undertake to put pressure on the Iraqi authorities to resist any form of Sharia law, which would inevitably curtail the rights of non-Muslims and of women, as well as denying the fundamental freedom to choose and change religion? The Christians and other minorities in Iraq feel severely let down by the international community—primarily, perhaps, by the United Kingdom and the United States. It is essential that Britain and America act, and act quickly, to protect the Christians and other vulnerable minorities. We have a particular responsibility to do so, because the present situation is a direct result of American and British intervention. We must therefore accept responsibility and do much more to reverse the spiral of violence in which minorities feel increasingly vulnerable. Unless Britain and America take appropriate action, we will be responsible for a situation which may deteriorate to such an extent that Iraq will join the tragic catalogue of countries in that part of the world where the rights of minorities, including Christians, are not respected or protected and they are left so vulnerable that their communities wither on the vine and their people emigrate, leaving a land bereft of the priceless traditions of cultural diversity and religious tolerance. That would be a tragic outcome and a betrayal of the principles for which the United States and United Kingdom went to war and continue to engage. Religious freedom and the rights of all minorities must be the touchstone of success or failure of that engagement. My Lords, I, too, thank the noble Lord, Lord Hylton, for bringing this matter to the attention of the House today and for introducing it so effectively. His passion was echoed by the noble Lord, Lord Rea, the right reverend Prelate, and the noble Baroness, Lady Cox. The complexity of Iraq was something of which experts warned before the Allies went in. The resonance of the names we have before us—names that go back to medieval history and far beyond—should not conceal the fact that the people about whom we are talking are not distant; they are real and vulnerable, especially as power struggles ensue in Iraq and the political map changes. We have a responsibility here, because we helped to set those power struggles in motion. The removal of Saddam, welcome as that was, was bound, as was warned, to open up a series of complex problems. Some of those who were themselves oppressed under Saddam are all the more keen never to let that happen again to their group. Whether they are as protective of others is another matter. The precise influence that the British Government have may well be limited. Even in the period when the UK was, in coalition with the US, supposedly running the Coalition Provision Authority, we all know how that was dominated by the US to the exclusion of the UK. But valiant efforts were made by the Allies to ensure that the make-up of temporary bodies was balanced between the various ethnic and religious groups. We know how concerned the Allies were about the engagement of the Sunnis. We also know how concerned they were to ensure that women were fully included in the process and how difficult that proved to be. All the time that we are actively involved in Iraq, pressure should be brought to bear on those drawing up the new Iraqi constitution, emphasising that peace and stability is likely to result only if all groups are drawn into the process and feel that they are being treated fairly. The position of the Chaldo-Assyrians, the Turkomen and other minorities is clearly a cause for serious concern. The Iraqi constitution is supposed to be drafted by 15 August. The new system will surely need to be federal, democratic and pluralistic. Most Iraqis seem to agree that a federal structure that assigns certain powers, such as defence and foreign affairs, to central government, should be balanced with the decentralising of other powers to regional and local authorities. The control of oil may need to be assigned to central rather than local government; that is one way of preventing the peeling-off of Iraqi Kurdistan, with the knock-on effects that that would have on Iraq as a whole, minority groups in Iraqi Kurdistan and surrounding countries. Does the noble Baroness think that if Iraq is divided into federal areas those should be geographical rather than ethnic, in fact to protect minority groups, despite the appeal that divisions might seem to present? Alternatively, is she persuaded that there should be enclaves for some groups, as is suggested by some noble Lords? Guaranteeing minority rights across Iraq is surely the key to stability and progress. Does the noble Baroness anticipate that the Iraqi constitution will include a Bill of individual rights and measures to protect and promote minority group rights? Does she see Islam as the official religion? If so, in what form might that be, as the noble Baroness, Lady Cox, asked, and how far might it run right through society? There are strong signs that the rights of minorities are not being respected now. Does the noble Baroness accept, for example, that certain Chaldo-Assyrian groups were not given ballot papers in the January elections? What conclusion has the Electoral Commission come to on that, and what difference might that have made? "Turkomen and Chaldo-Assyrians are our respected brothers and sisters, and we will do whatever is within our capability and authority for the sake of their well-being . . . We consider ourselves their advocates and defenders of their rights". I realise that that may be greeted with some scepticism, but I would prefer to regard it as a genuine pledge, publicly made, which must of course be genuinely observed. The Kurdistan Regional Office declares that the independent Electoral Commission did not deliver sufficient ballot papers to some regions of Iraq. Does the noble Baroness accept its explanation that Kurds lost out here, too, or does she take the contrary view, which is that the Christian community lost out disproportionately? If so, what recompense might there be? When will the Electoral Commission report on that matter? Over the centuries, as we have heard, the Christian community in Iraq has dwindled. Now, besides the political power struggle taking place there, the Christians are also being targeted by Islamic extremists. Tens of thousands have now fled Iraq. Women have had acid thrown on their faces for not wearing the veil. Amnesty reports assassinations of Chaldo-Assyrians at the hands of both Kurds and Islamic extremists. On a more mundane level, in some areas, reconstruction money seems not to have gone to the Chaldo-Assyrian community although it has gone to the Kurdish community in the same area. Will the noble Baroness comment on that? I want to refer briefly to another disadvantaged group, the Turkomen. What progress is being made to assess the property rights of those displaced people? What is being done to ensure that there is a fair system of restoring land and property taken from the Turkomen during Saddam's Arabisation programme? The Iraqi Property Claims Commission has that as its task. How is it progressing? Has it handed back a single property? At the moment there are tens of thousands of dispossessed former residents in camps outside the city of Kirkuk. Iraq remains in a very volatile state. In such circumstances it is not surprising if different groups do their best to secure for themselves a firm foothold on power. Groups that have been oppressed in Iraq and now find themselves in the ascendancy might well remember what it felt like to be oppressed. We must put all the pressure we can on all sides to act with tolerance and inclusiveness in drawing up plans for the future of Iraq. Only then, surely, will it be well placed to become a secure and peaceful state without tectonic plates moving beneath the surface, which threaten to break up and destroy the country and once more imprison its people, and threaten the region as a whole. My Lords, I congratulate the noble Lord, Lord Hylton, on stimulating this most interesting and much needed debate. It is with great sadness and disappointment that I notice how daily reports of violence and bombings in Iraq are currently considered the norm. It is so easy for the media and politicians to bunch all that is happening in Iraq under one hat and miss what some have called the increasingly desperate situation of the indigenous Chaldo-Assyrian Christians and other religious and ethnic minorities. There have been significant and repeated attacks on ethnic minority groups in Iraq, both before and since the elections in January this year. I will not reiterate some of the horrors that your Lordships have mentioned tonight, but the continual reports of ethnic minorities such as the Chaldo-Assyrians suffering discrimination cannot be ignored. I understand from the FCO website that our embassy in Baghdad and our offices in Kirkuk and Basra have been instructed to monitor the situation, especially with regard to the criminal activity based on the widespread belief that Christians are wealthy. Can the Minister update the House with the most recent reports from our offices on that issue? I hope that the noble Baroness can also reiterate Her Majesty's Government's condemnation of attacks of any kind, particularly on Christian churches. A particular worry is the complaints over Assyrian Christian participation in the spring elections. The elections offered all Iraqis the opportunity to vote for the candidate who would best represent their interests. Groups of Assyrian Christians were registered to take part by the Independent Electoral Commission of Iraq, but there have been numerous complaints of irregularities in the voting procedures from that minority in particular. Dr Malko, president of the Assyrian National Assembly, has claimed that up to 400,000 Assyrians and other ethnic minorities, such as the Yezidis, Shabak and Turkomen were prevented from voting, as ballot boxes did not reach them, and that the Kurdish militia stopped them going to vote. The Jubilee campaign reports that ballot boxes stored in Arbil, the stronghold of the Kurdistan Democratic Party, were blocked from being delivered from at least six major Chaldo-Assyrian towns and villages in the Nineveh plains. That left thousands of would-be voters stranded outside polling places with no opportunity to cast their vote. Some 85 to 90 per cent of the Iraqi expatriate community are Assyrians. The Assyrian international news agency highlighted the fact that 170,000 Assyrians in the United States were left with no polling station. The International Organisation for Migration refused to add further polling stations despite there being more available in other countries such as Australia and Iran. We welcome an imperfect system rather than none at all, especially when out-of-country voting was agreed only a short time before the election, but there are lessons that need to be learnt to ensure that there are free and fair procedures for this year's constitutional referendum on 15 October and the elections for a new Iraqi government on 15 December. The key to protecting the legitimate interests of religious and ethnic minorities in Iraq is ensuring that they are enshrined in the constitution. It is vital that it contains the necessary protections regarding the full religious rights of all individuals to freedom of religious belief and practice; that all Iraqis are equal in their rights, without regard to gender, sect, opinion, belief, nationality, religion or origin; and that they are equal before the law. It should also include what we take for granted: the protection of public and private freedoms, including the right of free expression and peaceable assembly and the right to join associations, unions and political parties freely without unlawful arrest or detention, particularly that based on religious or political belief. What steps are the Government taking to ensure that the new Iraqi constitution will guarantee the rights of Christians and other religious minorities to full and equal citizenship? Do the Government support the call by the International Crisis Group for the deadline for the constitution to be extended until 15 September? I am sure that it would be better to take a little more time and get it right. It is all cyclical: the more violence there is, the greater the call for equality and the claims of discrimination. The more secure the country is, the better the environment in which democratic process, personal freedom and equality can flourish. Does the noble Baroness accept that there is a need to accelerate the rate at which Iraq's indigenous security forces are trained and take further steps to reconstruct the country, at the same time giving young unemployed Iraqis a chance to make a living and not get drawn into violent groups? I look forward to the day when news of death, injury and discrimination in Iraq is no longer the norm. My Lords, I thank the noble Lord, Lord Hylton, for raising this very important subject for debate and for further highlighting the situation of the Chaldo-Assyrians in Iraq. They are rightly a proud people whose culture and roots in the region can be traced back more than 2,000 years. I am grateful to all noble Lords for their very informed interventions. I will certainly answer as many questions as possible, but those to which I do not respond, I will of course respond to in writing. On behalf of Her Majesty's Government, I condemn all attacks on minorities and places of worship. From the endless media diet of violent attacks in Iraq, Iraq's political process continues to move forward. In his speech to the international conference on Iraq in Brussels on 22 June, the Iraqi Prime Minister confirmed that the inclusion of all Iraqis in the political process is key. That, he said, will undermine those trying to destroy the unity of Iraq. That is particularly important. The Government wholeheartedly support those sentiments. We want to see an inclusive constitutional process in which the final product enshrines the rights of all Iraqis, protecting their interests. Key to securing that is the participation of all Iraq's communities in the process. Behind the scenes, we encourage the Transitional National Assembly's constitutional committee to expand its membership to ensure the broadest possible inclusion. We are pleased that that has now been agreed. We now urge the committee and the transitional Government to pursue aggressive public outreach programmes, further increasing the participation of Iraq's diverse communities. In answer to questions from my noble friend Lord Rea and other noble Lords on voting irregularities, the Independent Electoral Commission of Iraq investigated all complaints of irregularities in voting procedures, including those made by the Chaldo-Assyrians in the 30 January elections. The Independent Electoral Commission wrote to each complainant with its findings. It has conducted a major lessons-learnt exercise with the UN to ensure that in future elections there will be fewer irregularities. The noble Lord, Lord Hylton, rightly mentioned the return of Chaldo-Assyrians to their land and villages. Our posts report that relations between the Kurds and the Chaldo-Assyrians in the north are good. A successful resettlement programme is under way in the north—for example, in Faysh Khabour. The noble Baroness, Lady Northover, and the noble Lord, Lord Hylton, raised construction and funds for Chaldo-Assyrians. After decades of damage by a repressive regime, it will of course take time to build Iraqi institutions, improve the infrastructure and for the public sector to flourish. The Iraqi transitional Government are firmly in the lead on reconstruction. They have massive international support: $32 billion was pledged in Madrid in October in grants and concessional loans. But it is of course up to the Iraqi Government to co-ordinate with the Kurdish regional government to afford an equitable redistribution of resources to all the Iraqi people for construction. In answer to questions from the noble Baroness, Lady Cox, and the right reverend Prelate the Bishop of Rochester, on freedom of worship and the constitution, it would be premature to judge what the contents of the constitution will be, but we must welcome the decision on 4 July to expand the constitutional committee to a commission that includes the broadest possible participation. The Transitional Administrative Law guarantees the full religious rights of all individuals to freedom of religious belief and practices. Her Majesty's Government very much hope that the constitutional drafters will respect that principle. It is of course for Iraqis themselves to decide their constitution. I return now to the constitutional process, which will not succeed through force of Iraqi will alone. Iraq needs the international community's support, which is why the Government welcome the occasion of the international conference, where more than 80 states and international organisations underscored their willingness to help Iraq rebuild. The United Nations has the lead role in co-ordinating international assistance to this constitutional process. We work closely with the UN team on the ground to identify the constitutional committee's priorities and to see how best we can give direct help. There is only so much that good process and support from Iraq's friends can achieve. Ultimately, Iraqis will debate and decide on the future constitution and the structure of the state. Brave decisions will have to be made. Compromises will have to be struck. But one tenet that must be preserved is the protection of fundamental human rights. Chaldo-Assyrians, along with the Turkomen, Yazidi and Mandaens, have representatives on the Constitutional Committee. These representatives have been tasked with ensuring that their communities' concerns are reflected and their fundamental rights enshrined. They are playing an active part in contributing to the final draft. In this way we hope that all Iraq's communities, including the Chaldo-Assyrians, will be able to identify with the values and institutions enshrined in the constitution. As noble Lords have said, until a permanent constitution is put in place, all Iraqis remain subject to Iraq's Transitional Administrative Law. I commend the document to the House. To that end, Article 53(D) guarantees, "the administrative, cultural, and political rights of the Turcomans, ChaldoAssyrians, and all other citizens". Interpretation of this article is ultimately a matter for the Iraqi authorities to determine. However, we maintain the view that Article 53(D) does not include the right to an autonomous administrative region for one particular group. It is our understanding that the intention of this provision was not to grant self-governing status to the Chaldo-Assyrians, but to ensure administrative, cultural and political rights to them as well as to all other citizens. Furthermore, Article 4 of the Transitional Administrative Law makes clear that the federal system shall be based on geographic and historical realities and the separation of powers and not on origin, race, ethnicity, nationality or confession. While it is clear that voices among the Chaldo-Assyrians are calling for a separate, autonomous administrative region, it is not clear how widespread is this view. I note, of course, the comments of the noble Lord, Lord Hylton. He mentioned the letter that has been sent to the Prime Minister. It has been received and a response will be issued shortly. I can assure the noble Lord that the three points raised in the letter have been noted and will be carefully considered. FCO officials in Iraq have recently spoken to Mr Kanna about this matter, and he is aware that the letter has been received. On the final declaration of the Chaldo-Assyrian Conference, it stressed the unity of Iraq. The UK supports an inclusive and practical process which will unite the people of Iraq, giving them stability. The aim of the international community must remain to help all Iraqis to create a united, federal, pluralist Iraq where all Iraqi citizens are secure wherever they may reside in the country and irrespective of race or religious beliefs. In response to the noble Baroness, Lady Cox, the new sovereign Iraq is responsible for ensuring that human rights are respected in all areas of Iraqi society. We are working with the Iraqi government and our international partners to development human rights awareness through capacity building, awareness programmes and other training. The Transitional Administrative Law has committed Iraq's Interim Government to some form of federal structure, with power shared, "between federal and regional governments, governorates, municipalities, and localities". The details of much of the federal settlement are undecided and will be resolved by the Constitutional Committee. We will continue our contacts with the committee and the broader Transitional National Assembly to urge that the rights of all minority groups, including the Chaldo-Assyrians, are accorded their due priority and will remain in close contact with committee representatives from minority groups to ensure that they are being given every right to contribute fully to discussion and to participate in decisions on Iraq's federal structure. We believe that the boundaries and powers of any federal regions are a matter for the Iraqis alone to resolve. The reports of human rights abuses against Chaldo-Assyrians, which have been so properly but horrifically catalogued this evening, are of deep and grave concern. Our officials in Iraq meet regularly with leaders of the Christian communities to gauge their views and raise our concerns with the Iraqi authorities. The Transitional Administrative Law recognises the human rights of all minorities in Iraq. We maintain a dialogue with the Iraqi Transitional Government at all levels, making clear our support for the human rights of all Iraqis, and we will continue to lobby for the appointment of a human rights Minister as soon as possible. We welcome the statement from Iraq's Shia Muslim leader, Grand Ayatollah Ali Sistani, calling for an end to the attacks and for the need to respect the rights of Chaldo-Assyrians and those of other religious faiths and their right to live in Iraq peacefully. In Basra, where the British deployment in Iraq is centred, we have good relations with Archbishop Kassab, who supports close integration with the Muslim community in the south. In the north, there is evidence of successful integration where Chaldo-Assyrians chose to resettle. The noble Lord, Lord Rea, referred to the role of the EU presidency. This will give us the added advantage of speaking for all member states, which, like us, continue to encourage Iraqis to work to ensure that the fundamental rights of all its citizens are protected, regardless of their race or ethnicity. The noble Lord also mentioned the démarche and the actions being taken by the European Parliament representative in Iraq. I undertake to follow up on this issue to see what is happening. The noble Baroness, Lady Northover, referred to the Turkomen. The UK is fully aware of the sufferings of the Turkomen under Saddam Hussein and we regularly meet with the Iraqi Turkomen Front representatives in both London and Iraq. The Government remain committed to helping Iraq see the transitional process through to a successful conclusion. There are landmarks ahead: agreeing the draft constitution in August; a referendum on it in October; elections and the formation of a constitutional government by the end of December. But that will not be the end of the process. Iraq will continue to need our help. In providing that help, uppermost in our minds will be the need for Iraqis to ensure that the fundamental rights of all its citizens are protected, regardless of their sect or ethnicity, allowing Iraq to turn decisively away from the horrific years of the Ba'athist rule. My Lords, I beg to move that the House do now adjourn during pleasure until 8.45 pm. For Free Admission Coupons to This Event Click Here. Yes, But Be Careful ! "Nineveh is laid waste: Who will bemoan her? Whence shall I seek comforters for thee?" Jonah 3:7. Dusty wind rips past my squinting eyes and continues across a wounded city. Asphalt dust clouds the air as I survey the crumbling high-rise to my left being so efficiently emptied of the twisting steel frame and rebar reinforcement that once supported the now-hollow and crumbled Defense Ministry headquarters. As I stand in line waiting to enter the protected government "Green Zone" with reconstruction staff and hopeful business partners, I am cautiously aware of the bustling parking lot behind the checkpoint and peer back constantly. This checkpoint is known in Baghdad as Assassin's Gate. Once inside, past the first ID checkpoint, I wait to be frisked a second time and have my briefcase searched. Then, there is 150 feet of walking through a barbed path of sandbag and concrete protection until I see the familiar helmeted cavalryman atop his Abram's tank turret with hands dutifully on the machine gun as he peers down curiously at me. I smile and the young soldier laughs at the sight of a suit-and-tie, briefcase-carrying American making his way back into relative safety in the midst of a city wondering why it is still at war. To paraphrase the fictitious detective, Joe Friday: "My name is James Rayis: I'm a lawyer." The time is early February, 2004. This is the Iraq of 5,000 years' history, of Mesopotamian empires, birthplace of great rulers of wisdom and brutality — and of my parents. This is the Baghdad of Ali Baba, the great sultans and, not to be forgotten, my brother and sister. As one of the indigenous Assyrians who speaks a form of the language spoken by Christ, I was enchanted to be in this historic land. As a lawyer in international business practice for more than 20 years who was handed an opportunity to practice with businesses working in Iraq, and with the richness of Iraq's ethnic mix as guides and interpreters — I am doing just that. Iraq is a nation of respected but varying customs and traditions. Its history as one nation of Iraq being relatively recent, the different tribes and ethnic and cultural groups, while following federal law when necessary, are each more comfortable in their own traditions. Habits of the southwestern Shiites follow more closely Gulf Arab traditions, whereas Sunni tribes from Anbar and Baghdad reflect more closely the traditions of those in Syria and Jordan. 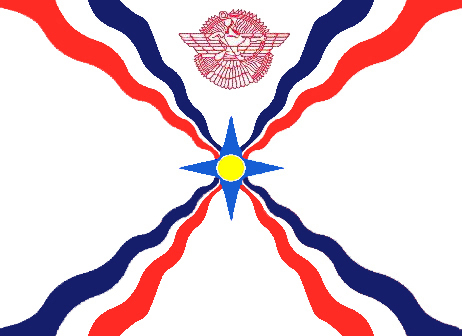 The Assyrian/Chaldean/Syriac (one people named "Chaldo Assyrian" in the Temporary Administrative Law) and Kurdish, who live in the North of Iraq alongside Yezidi, Turkmen, Armenians, and Shabak (South Asian Shiite Muslims) follow unique traditions and rules separately from the laws they must follow as part of a national government. Iraqis have been sweeping up, both literally and figuratively. Reconstruction began almost on the heels of the fleeing Ba'athi soldiers. Due in large part to U.S. government investment and encouragement, Iraq is an opportune business investment site. While there is no downplaying the physical risk of traveling in and out of the country or the limitations on free movement within Iraq, there are opportunities for companies willing to be involved in rebuilding the country. Between February and August 2004, I met no fewer than 25 representatives of major international law firms parked in luxury hotels from Kuwait to Dubai trying to rub elbows and share a drink with some contractor who may be involved in Iraq, and be a decision maker! The problem for them was that decision makers were already in Iraq. Being the first Western lawyer to get into Iraq and work, I was fortunate to meet and speak with not only the American contract representatives in the Green Zone, but Coalition Provisional Authority (CPA) representatives, Iraqi government leaders and the ministers who were themselves bidding out major projects. By May 2003, the United Nations officially recognized the United States and Britain as joint occupying powers over Iraq and lifted previous sanctions against the country. In occupation, the CPA issued orders to establish basic institutions, to create a Governing Council to act in conjunction with it, to adopt ministries and appoint ministers, and to encourage economic activity by suspending taxes (temporarily) and lifting investment restrictions. Iraq's economy had always been run in a bureaucratic, complex system of laws, regulations and orders since its original transition from Ottoman Rule to the British at the end of World War I. Years of instability, tribalism and corruption led to even greater complications in navigating the business environment, even through the relatively prosperous period from 1955 to 1975. With the Ba'ath party and Saddam Hussein came brutal suppression of free expression of any kind, including business activity. Despite these factors, the bureaucratic maze proved predictable even considering the nation's deepening troubles. The original civil code of 1953 proved workable and, when results were not offending to the Ba'ath, predictably enforceable. It was heavily influenced by Napoleonic, Egyptian and Shari'a religious doctrines. A new commercial code was enacted in 1984 at the height of the Iran-Iraq war and a Companies Law was adopted in 1997 at a time of economic ruin. The new code set forth specific means to create business enterprises and expanded ownership rights of enterprises from Iraqis only to Arab League nationals. No antitrust or competition rules existed under Iraqi law but it was well known that competing successfully with a state-owned enterprise met with harsh and dangerous punishment. Only Ba'ath party members could hold important positions and judges knew that decisions displeasing Hussein or any of his family could mean death or imprisonment. On occupation, the CPA acted quickly to allow trade and investment access into the Iraqi market. Trade and customs barriers were removed and a new Companies Law was framed with ownership of stock (in most industries) opened up to foreigners. An intellectual property regime was framed and implemented for trademarks, copyright and patents. The CPA also structured a transparent financial system with banking and currency rules overseen by a uniquely capable team led by ex-Bank of America and Michigan State University President Peter McPherson and U.S. Treasury Department's Deputy General Counsel George Wolfe. They succeeded in the important step of stabilizing runaway inflation and creating the new Iraqi currency now in use, even floating it on world markets (although the U.S. dollar remains the prized and most- used currency). The adoption of the interim governing constitution, called the Temporary Administrative Law (TAL), gave Iraq the most sweeping framework for open and tolerant governance known in the Arab world, including a bill of rights guaranteeing freedom of voting, assembly and religious practice. Of course, great caution is required when doing business in developing nations, particularly in today's climate of risk in the Gulf States. But also, in Iraq, it is extremely risky to skip a step that most U.S. companies now there seem to ignore; one must comply with Iraqi law to stay in business after reconstruction. For many companies this does not seem important since contracts are paid directly within the United States. But problems can and do arise and can stop or hinder a project. The Iraqi legal system has a deep and long-standing tradition of holding form over substance. Running afoul of any regional authority for violating its codes or ignoring permitting requirements concerning construction and building standards, employment, riparian rights and water and sewage rules as well as a myriad other issues can lead to misunderstandings and trouble not only with government officers, but with police and local populations. A primary means to achieve stability with Iraqi business partners is under a comprehensive (but not physically imposing) contract of Civil Code form. Contract enforcement is universally upheld unless certain social or religious principles would be offended. Specific performance is the means of judicial enforcement unless not practical, in which case monetary damages would be awarded. Financing contracts must be carefully considered since interest rules are detailed and strictly followed. While foreigners cannot directly own real estate in Iraq, appropriate contracts can accomplish results that are surprisingly similar. Iraqi businesses are very adept at representation of foreign companies as agents or distributors. The Civil Code contains agency provisions familiar and agreeable to any Western business group. For instance, an agent is limited in authority to that granted to it in the agency contract and may only exceed such authority on specific granting of permission to do so by the principal. Commercial agencies are regulated and must be licensed and registered. Companies seeking an Iraqi agent must seek advanced permission through the Companies Department Registrar. The Iraqi Ministry of Justice under the interim government no longer controls the judiciary. Judges are appointed nationally and supervised only by local bar collectives and a Supreme Judicial Counsel. Courts are separated into civil, criminal and personal status courts, the latter involving family concerns for Muslim citizens. Non-Muslim personal issues can be handled in civil court or by other recognized clergy such as Chaldo Assyrian priests. Since my first trip to Iraq, the security environment has become continually more precarious for everyone, but especially risky to foreigners out in the open. With more and more Iraqis finding a decreasing likelihood of Saddam or his regime re-emerging, citizens are taking greater responsibility for improving safety on the streets. Coalition forces are more dependent on tips and warnings from the public against ambushes and improvised explosives. The Iraqi National Guard is skittishly but visibly patrolling major streets. Foreign terrorists engaged in a worldwide Islamic war against the West — the United States in particular — have sent suicide bombers and kidnappers into the country to destabilize chances for a peaceful, democratic regime. While northern Iraq is relatively safer, with populations of Kurdish, Chaldo Assyrians, Turkmen and Yezidi minorities populating large areas, security concerns remain deep in Mosul and south into the Bartella areas of the Nineveh province. Conducting business representing foreign enterprises in northern Iraq is pleasant and much less dangerous though forces of the Iraqi National Guard and KDP pesh merga occasionally threaten free travel. Of $18 billion-plus dollars committed by the United States for reconstruction, the nine "prime" U.S. contractors have been hampered by security fears and isolation within the Green Zone to having spent, almost two years after their charge, just over $3 billion. Major efforts involving infrastructure of power, water, transportation and health systems are in serious need of attention despite the heroic efforts of Coalition military support. These efforts designed at taking over key infrastructure improvement have been carried on in the midst of fighting an unpredictable insurgency. While much of the process of subcontracting and putting contracts in place with Iraqi businesses on the ground is met with enthusiasm and energy, old vestiges of corruption in the form of Arab "baksheesh" have not been fully rooted out of even newly formed ministry systems and, most disappointing, from U.S. official channels and government "contractors." The Project and Contracting Office is charged with seeing the prime contracts move forward as well as assisting in priority determinations and supply logistics. A major step along the continually improving process of Iraq's march toward freedom was the national election. The Coalition no longer governs Iraq and is presumably planning to pull out its armed forces. The new Iraqi Assembly was elected with voting problems occurring less than could have been imagined. The Sunni Muslims and northern Iraq non-Kurdish minorities are vastly under represented. The president and prime minister have been chosen and a slate of ministers nominated by the prime minister. These will be, in traditional Iraqi manner, powerful and forceful rulers. The Assembly, together with guidance by the heads of government, will determine the form of new government and important legal reforms such as economic and business regulation. Issues such as the extent to which Shari'a Islamic law will be applied, the continued openness of the economy to foreign investors, regulation of trade and banking laws and other critical factors in determining Iraq's future economic health and legal structure are now in debate. The CPA's influence has been great and will not be entirely absent in the process. The Temporary Administrative Law provided incredible and widespread reform but did not completely permeate into the fabric of Iraqi law or society in its short life. Iraqi leaders saw in many of the reforms possibilities for true revitalization. But long tradition and regional influences will temper and sway how far these may be accepted. The danger of deepening corruption in both government and business could derail much progress already attained. There is great hope for optimism that not only will Iraq emerge a peaceful and stable regional ally of the West, but that Iraqi people will live in a more free and economically vibrant situation than has been known in an Arab nation since the best days of Lebanon before 1975. Sectarian strife has been kept under control and the various groups will, one must hope, continue working together for the betterment and stability of one nation. Ba'ath loyalists and violent religious zealots must be brought in and publicly punished when caught committing crimes so that others will see and be discouraged. Legal adjustments and conditions will be set by the new government and, I predict, will be remarkably familiar and provide ease of commerce within historically Arabic traditions. The north of Iraq may, with cooperation between its myriad of peoples, continue to develop and become a haven for nature lovers and tourists interested in clean air, mountains and the rich history seen in many ruins and artifacts. Lawyers will have a continually more important role in the long transition from oppressive rule to freedom in commerce and open trade. When asked by the curious head of an Iraqi private commercial unit why I am not afraid to do business in Iraq these days, I reply only that my work brings me here and I am happy to come and see it for myself. He laughs and says he wishes me peace and God's safe passage always. James Rayis is of counsel at Sokolow, Carreras, Lemoine & Partners, LLP, in Atlanta. His article is published in the Business Law Today, Volume 14, Number 6 July/August 2005. 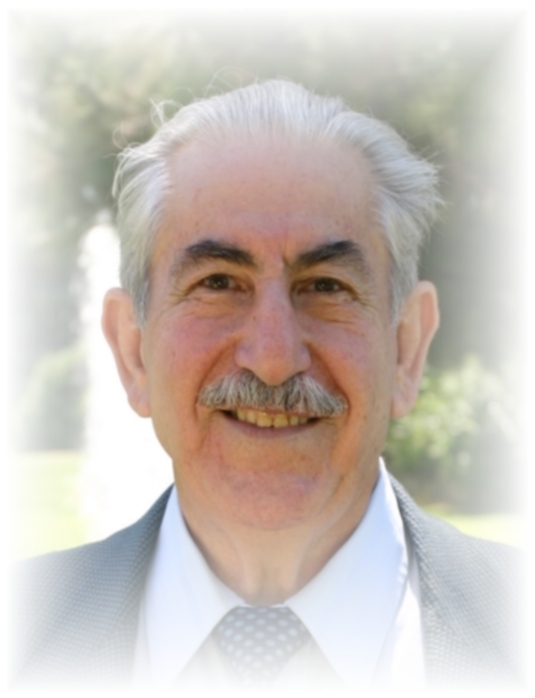 Mr. Rayis is the son of the late Aprim Rayis, former Secretary General of the Assyrian Universal Alliance. Mr. Rayis is the vice chairman of the ChaldoAssyrian National Council of America, a lobby group promoting the rights of the ChaldoAssyrians in Iraq. This essay is extracted from Chalmers Johnson's Nemesis: The Crisis of the American Republic, forthcoming from Metropolitan Books in late 2006, the final volume in the Blowback Trilogy. The first two volumes are Blowback: The Costs and Consequences of American Empire (2000) and The Sorrows of Empire: Militarism, Secrecy, and the End of the Republic (2004). Copyright 2005 Chalmers Johnson. In the months before he ordered the invasion of Iraq, George Bush and his senior officials spoke of preserving Iraq's "patrimony" for the Iraqi people. At a time when talking about Iraqi oil was taboo, what he meant by patrimony was exactly that -- Iraqi oil. In their "joint statement on Iraq's future" of April 8, 2003, George Bush and Tony Blair declared, "We reaffirm our commitment to protect Iraq's natural resources, as the patrimony of the people of Iraq, which should be used only for their benefit." In this they were true to their word. Among the few places American soldiers actually did guard during and in the wake of their invasion were oil fields and the Oil Ministry in Baghdad. But the real Iraqi patrimony, that invaluable human inheritance of thousands of years, was another matter. At a time when American pundits were warning of a future "clash of civilizations," our occupation forces were letting perhaps the greatest of all human patrimonies be looted and smashed. There have been many dispiriting sights on TV since George Bush launched his ill-starred war on Iraq -- the pictures from Abu Ghraib, Fallujah laid waste, American soldiers kicking down the doors of private homes and pointing assault rifles at women and children. But few have reverberated historically like the looting of Baghdad's museum -- or been forgotten more quickly in this country. In archaeological circles, Iraq is known as "the cradle of civilization," with a record of culture going back more than 7,000 years. 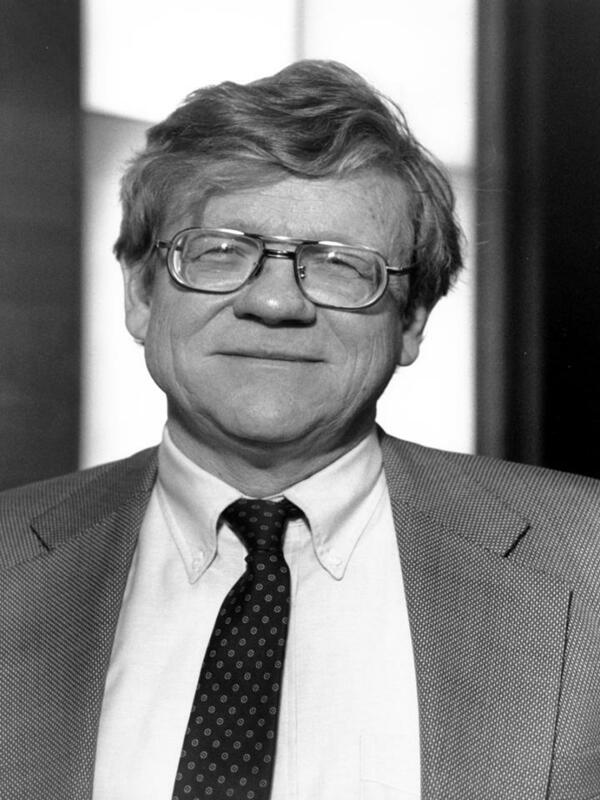 William R. Polk, the founder of the Center for Middle Eastern Studies at the University of Chicago, says, "It was there, in what the Greeks called Mesopotamia, that life as we know it today began: there people first began to speculate on philosophy and religion, developed concepts of international trade, made ideas of beauty into tangible forms, and, above all developed the skill of writing." No other places in the Bible except for Israel have more history and prophecy associated with them than Babylonia, Shinar (Sumer), and Mesopotamia -- different names for the territory that the British around the time of World War I began to call "Iraq," using the old Arab term for the lands of the former Turkish enclave of Mesopotamia (in Greek: "between the [Tigris and Eurphrates] rivers"). Most of the early books of Genesis are set in Iraq (see, for instance, Genesis 10:10, 11:31; also Daniel 1-4; II Kings 24). The best-known of the civilizations that make up Iraq's cultural heritage are the Sumerians, Akkadians, Babylonians, Assyrians, Chaldeans, Persians, Greeks, Romans, Parthians, Sassanids, and Muslims. On April 10, 2003, in a television address, President Bush acknowledged that the Iraqi people are "the heirs of a great civilization that contributes to all humanity."[4.] Only two days later, under the complacent eyes of the U.S. Army, the Iraqis would begin to lose that heritage in a swirl of looting and burning. In September 2004, in one of the few self-critical reports to come out of Donald Rumsfeld's Department of Defense, the Defense Science Board Task Force on Strategic Communication wrote: "The larger goals of U.S. strategy depend on separating the vast majority of non-violent Muslims from the radical-militant Islamist-Jihadists. But American efforts have not only failed in this respect: they may also have achieved the opposite of what they intended." Nowhere was this failure more apparent than in the indifference -- even the glee -- shown by Rumsfeld and his generals toward the looting on April 11 and 12, 2003, of the National Museum in Baghdad and the burning on April 14, 2003, of the National Library and Archives as well as the Library of Korans at the Ministry of Religious Endowments. These events were, according to Paul Zimansky, a Boston University archaeologist, "the greatest cultural disaster of the last 500 years." Eleanor Robson of All Souls College, Oxford, said, "You'd have to go back centuries, to the Mongol invasion of Baghdad in 1258, to find looting on this scale." Yet Secretary Rumsfeld compared the looting to the aftermath of a soccer game and shrugged it off with the comment that "Freedom's untidy. . . . Free people are free to make mistakes and commit crimes." The Baghdad archaeological museum has long been regarded as perhaps the richest of all such institutions in the Middle East. It is difficult to say with precision what was lost there in those catastrophic April days in 2003 because up-to-date inventories of its holdings, many never even described in archaeological journals, were also destroyed by the looters or were incomplete thanks to conditions in Baghdad after the Gulf War of 1991. One of the best records, however partial, of its holdings is the catalog of items the museum lent in 1988 to an exhibition held in Japan's ancient capital of Nara entitled Silk Road Civilizations. But, as one museum official said to John Burns of the New York Times after the looting, "All gone, all gone. All gone in two days." A single, beautifully illustrated, indispensable book edited by Milbry Park and Angela M.H. Schuster, The Looting of the Iraq Museum, Baghdad: The Lost Legacy of Ancient Mesopotamia (New York: Harry N. Abrams, 2005), represents the heartbreaking attempt of over a dozen archaeological specialists on ancient Iraq to specify what was in the museum before the catastrophe, where those objects had been excavated, and the condition of those few thousand items that have been recovered. The editors and authors have dedicated a portion of the royalties from this book to the Iraqi State Board of Antiquities and Heritage. At a conference on art crimes held in London a year after the disaster, the British Museum's John Curtis reported that at least half of the forty most important stolen objects had not been retrieved and that of some 15,000 items looted from the museum's showcases and storerooms about 8,000 had yet to be traced. Its entire collection of 5,800 cylinder seals and clay tablets, many containing cuneiform writing and other inscriptions some of which go back to the earliest discoveries of writing itself, was stolen. Since then, as a result of an amnesty for looters, about 4,000 of the artifacts have been recovered in Iraq, and over a thousand have been confiscated in the United States. Curtis noted that random checks of Western soldiers leaving Iraq had led to the discovery of several in illegal possession of ancient objects. Customs agents in the U.S. then found more. Officials in Jordan have impounded about 2,000 pieces smuggled in from Iraq; in France, 500 pieces; in Italy, 300; in Syria, 300; and in Switzerland, 250. Lesser numbers have been seized in Kuwait, Saudi Arabia, Iran, and Turkey. None of these objects has as yet been sent back to Baghdad. The 616 pieces that form the famous collection of "Nimrud gold," excavated by the Iraqis in the late 1980s from the tombs of the Assyrian queens at Nimrud, a few miles southeast of Mosul, were saved, but only because the museum had secretly moved them to the subterranean vaults of the Central Bank of Iraq at the time of the first Gulf War. By the time the Americans got around to protecting the bank in 2003, its building was a burnt-out shell filled with twisted metal beams from the collapse of the roof and all nine floors under it. Nonetheless, the underground compartments and their contents survived undamaged. On July 3, 2003, a small portion of the Nimrud holdings was put on display for a few hours, allowing a handful of Iraqi officials to see them for the first time since 1990. The torching of books and manuscripts in the Library of Korans and the National Library was in itself a historical disaster of the first order. Most of the Ottoman imperial documents and the old royal archives concerning the creation of Iraq were reduced to ashes. According to Humberto Márquez, the Venezuelan writer and author of Historia Universal de La Destrucción de Los Libros (2004), about a million books and ten million documents were destroyed by the fires of April 14, 2003. Robert Fisk, the veteran Middle East correspondent of the Independent of London, was in Baghdad the day of the fires. He rushed to the offices of the U.S. Marines' Civil Affairs Bureau and gave the officer on duty precise map locations for the two archives and their names in Arabic and English, and pointed out that the smoke could be seen from three miles away. The officer shouted to a colleague, "This guy says some biblical library is on fire," but the Americans did nothing to try to put out the flames. Given the black market value of ancient art objects, U.S. military leaders had been warned that the looting of all thirteen national museums throughout the country would be a particularly grave danger in the days after they captured Baghdad and took control of Iraq. In the chaos that followed the Gulf War of 1991, vandals had stolen about 4,000 objects from nine different regional museums. In monetary terms, the illegal trade in antiquities is the third most lucrative form of international trade globally, exceeded only by drug smuggling and arms sales. Given the richness of Iraq's past, there are also over 10,000 significant archaeological sites scattered across the country, only some 1,500 of which have been studied. Following the Gulf War, a number of them were illegally excavated and their artifacts sold to unscrupulous international collectors in Western countries and Japan. All this was known to American commanders. In January 2003, on the eve of the invasion of Iraq, an American delegation of scholars, museum directors, art collectors, and antiquities dealers met with officials at the Pentagon to discuss the forthcoming invasion. They specifically warned that Baghdad's National Museum was the single most important site in the country. McGuire Gibson of the University of Chicago's Oriental Institute said, "I thought I was given assurances that sites and museums would be protected." Gibson went back to the Pentagon twice to discuss the dangers, and he and his colleagues sent several e-mail reminders to military officers in the weeks before the war began. However, a more ominous indicator of things to come was reported in the April 14, 2003, London Guardian: Rich American collectors with connections to the White House were busy "persuading the Pentagon to relax legislation that protects Iraq's heritage by prevention of sales abroad." On January 24, 2003, some sixty New York-based collectors and dealers organized themselves into a new group called the American Council for Cultural Policy and met with Bush administration and Pentagon officials to argue that a post-Saddam Iraq should have relaxed antiquities laws. Opening up private trade in Iraqi artifacts, they suggested, would offer such items better security than they could receive in Iraq. "Current Threat to Archaeology in Iraq "
The main international legal safeguard for historically and humanistically important institutions and sites is the Hague Convention for the Protection of Cultural Property in the Event of Armed Conflict, signed on May 14, 1954. The U.S. is not a party to that convention, primarily because, during the Cold War, it feared that the treaty might restrict its freedom to engage in nuclear war; but during the 1991 Gulf War the elder Bush's administration accepted the convention's rules and abided by a "no-fire target list" of places where valuable cultural items were known to exist. UNESCO and other guardians of cultural artifacts expected the younger Bush's administration to follow the same procedures in the 2003 war. Moreover, on March 26, 2003, the Pentagon's Office of Reconstruction and Humanitarian Assistance (ORHA), headed by Lt. Gen. (ret.) Jay Garner -- the civil authority the U.S. had set up for the moment hostilities ceased -- sent to all senior U.S. commanders a list of sixteen institutions that "merit securing as soon as possible to prevent further damage, destruction, and/or pilferage of records and assets." The five-page memo dispatched two weeks before the fall of Baghdad also said, "Coalition forces must secure these facilities in order to prevent looting and the resulting irreparable loss of cultural treasures" and that "looters should be arrested/detained." First on Gen. Garner's list of places to protect was the Iraqi Central Bank, which is now a ruin; second was the Museum of Antiquities. Sixteenth was the Oil Ministry, the only place that U.S. forces occupying Baghdad actually defended. Martin Sullivan, chair of the President's Advisory Committee on Cultural Property for the previous eight years, and Gary Vikan, director of the Walters Art Museum in Baltimore and a member of the committee, both resigned to protest the failure of CENTCOM to obey orders. Sullivan said it was "inexcusable" that the museum should not have had the same priority as the Oil Ministry. As we now know, the American forces made no effort to prevent the looting of the great cultural institutions of Iraq, its soldiers simply watching vandals enter and torch the buildings. Said Arjomand, an editor of the journal Studies on Persianate Societies and a professor of sociology at the State University of New York at Stony Brook, wrote, "Our troops, who have been proudly guarding the Oil Ministry, where no window is broken, deliberately condoned these horrendous events." American commanders claim that, to the contrary, they were too busy fighting and had too few troops to protect the museum and libraries. However, this seems to be an unlikely explanation. During the battle for Baghdad, the U.S. military was perfectly willing to dispatch some 2,000 troops to secure northern Iraq's oilfields, and their record on antiquities did not improve when the fighting subsided. At the 6,000-year-old Sumerian city of Ur with its massive ziggurat, or stepped temple-tower (built in the period 2112 - 2095 B.C. and restored by Nebuchadnezzar II in the sixth century B.C. ), the Marines spray-painted their motto, "Semper Fi" (semper fidelis, always faithful) onto its walls. The military then made the monument "off limits" to everyone in order to disguise the desecration that had occurred there, including the looting by U.S. soldiers of clay bricks used in the construction of the ancient buildings. Until April 2003, the area around Ur, in the environs of Nasiriyah, was remote and sacrosanct. However, the U.S. military chose the land immediately adjacent to the ziggurat to build its huge Tallil Air Base with two runways measuring 12,000 and 9,700 feet respectively and four satellite camps. In the process, military engineers moved more than 9,500 truckloads of dirt in order to build 350,000 square feet of hangars and other facilities for aircraft and Predator unmanned drones. They completely ruined the area, the literal heartland of human civilization, for any further archaeological research or future tourism. On October 24, 2003, according to the Global Security Organization, the Army and Air Force built its own modern ziggurat. It "opened its second Burger King at Tallil. The new facility, co-located with [a] . . . Pizza Hut, provides another Burger King restaurant so that more service men and women serving in Iraq can, if only for a moment, forget about the task at hand in the desert and get a whiff of that familiar scent that takes them back home." The great British archaeologist, Sir Max Mallowan (husband of Agatha Christie), who pioneered the excavations at Ur, Nineveh, and Nimrud, quotes some classical advice that the Americans might have been wise to heed: "There was danger in disturbing ancient monuments. . . . It was both wise and historically important to reverence the legacies of ancient times. Ur was a city infested with ghosts of the past and it was prudent to appease them." The American record elsewhere in Iraq is no better. At Babylon, American and Polish forces built a military depot, despite objections from archaeologists. John Curtis, the British Museum's authority on Iraq's many archaeological sites, reported on a visit in December 2004 that he saw "cracks and gaps where somebody had tried to gouge out the decorated bricks forming the famous dragons of the Ishtar Gate" and a "2,600-year-old brick pavement crushed by military vehicles." Other observers say that the dust stirred up by U.S. helicopters has sandblasted the fragile brick façade of the palace of Nebuchadnezzar II, king of Babylon from 605 to 562 B.C. The archaeologist Zainab Bahrani reports, "Between May and August 2004, the wall of the Temple of Nabu and the roof of the Temple of Ninmah, both of the sixth century B.C., collapsed as a result of the movement of helicopters. Nearby, heavy machines and vehicles stand parked on the remains of a Greek theater from the era of Alexander of Macedon [Alexander the Great]." And none of this even begins to deal with the massive, ongoing looting of historical sites across Iraq by freelance grave and antiquities robbers, preparing to stock the living rooms of western collectors. The unceasing chaos and lack of security brought to Iraq in the wake of our invasion have meant that a future peaceful Iraq may hardly have a patrimony to display. It is no small accomplishment of the Bush administration to have plunged the cradle of the human past into the same sort of chaos and lack of security as the Iraqi present. If amnesia is bliss, then the fate of Iraq's antiquities represents a kind of modern paradise. President Bush's supporters have talked endlessly about his global war on terrorism as a "clash of civilizations." But the civilization we are in the process of destroying in Iraq is part of our own heritage. It is also part of the world's patrimony. Before our invasion of Afghanistan, we condemned the Taliban for their dynamiting of the monumental third century A.D. Buddhist statues at Bamiyan in March, 2001. Those were two gigantic statues of remarkable historical value and the barbarism involved in their destruction blazed in headlines and horrified commentaries in our country. Today, our own government is guilty of far greater crimes when it comes to the destruction of a whole universe of antiquity, and few here, when they consider Iraqi attitudes toward the American occupation, even take that into consideration. But what we do not care to remember, others may recall all too well. [1.] American Embassy, London, " Visit of President Bush to Northern Ireland, April 7-8, 2003." [2.] William R. Polk, "Introduction," Milbry Polk and Angela M. H. Schuster, eds., The Looting of the Iraq Museum: The Lost Legacy of Ancient Mesopotamia (New York: Harry N. Abrams, 2005), p. 5. Also see Suzanne Muchnic, "Spotlight on Iraq's Plundered Past," Los Angeles Times, June 20, 2005. [3.] David Fromkin, A Peace to End All Peace: The Fall of the Ottoman Empire and the Creation of the Modern Middle East (New York: Owl Books, 1989, 2001), p. 450. [4.] George Bush's address to the Iraqi people, broadcast on "Towards Freedom TV," April 10, 2003. [5.] Office of the Under Secretary of Defense for Acquisition, Technology, and Logistics, Report of the Defense Science Board Task Force on Strategic Communication (Washington, D.C.: September 2004), pp. 39-40. [6.] See Frank Rich, "And Now: 'Operation Iraqi Looting,'" New York Times, April 27, 2003. [7.] Robert Scheer, "It's U.S. Policy that's 'Untidy,'" Los Angeles Times, April 15, 2003; reprinted in Books in Flames, Tomdispatch, April 15, 2003. [8.] John F. Burns, "Pillagers Strip Iraqi Museum of Its Treasures," New York Times, April 13, 2003; Piotr Michalowski (University of Michigan), The Ransacking of the Baghdad Museum is a Disgrace, History News Network, April 14, 2003. [9.] Polk and Schuster, op. cit, pp. 209-210. [10.] Mark Wilkinson, Looting of Ancient Sites Threatens Iraqi Heritage, Reuters, June 29, 2005. [11.] Polk and Schuster, op. cit., pp. 23, 212-13; Louise Jury, "At Least 8,000 Treasures Looted from Iraq Museum Still Untraced," Independent, May 24, 2005; Stephen Fidler, "'The Looters Knew What They Wanted. It Looks Like Vandalism, but Organized Crime May be Behind It,'" Financial Times, May 23, 2003; Rod Liddle, The Day of the Jackals, Spectator, April 19, 2003. [12.] Humberto Márquez, Iraq Invasion the 'Biggest Cultural Disaster Since 1258,' Antiwar.com, February 16, 2005. [13.] Robert Fisk, "Library Books, Letters, and Priceless Documents are Set Ablaze in Final Chapter of the Sacking of Baghdad," Independent, April 15, 2003. [14.] Polk and Schuster, op. cit., p. 10. [15.] Guy Gugliotta, "Pentagon Was Told of Risk to Museums; U.S. Urged to Save Iraq's Historic Artifacts," Washington Post, April 14, 2003; McGuire Gibson, "Cultural Tragedy In Iraq: A Report On the Looting of Museums, Archives, and Sites," International Foundation for Art Research. [16.] Rod Liddle, op. cit..; Oliver Burkeman, Ancient Archive Lost in Baghdad Blaze, Guardian, April 15, 2003. [17.] See James A. R. Nafziger, Art Loss in Iraq: Protection of Cultural Heritage in Time of War and Its Aftermath, International Foundation for Art Research. [18.] Paul Martin, Ed Vulliamy, and Gaby Hinsliff, U.S. Army was Told to Protect Looted Museum, Observer, April 20, 2003; Frank Rich, op. cit. ; Paul Martin, "Troops Were Told to Guard Treasures," Washington Times, April 20, 2003. [19.] Said Arjomand, Under the Eyes of U.S. Forces and This Happened?, History News Network, April 14, 2003. [20.] Ed Vulliamy, Troops 'Vandalize' Ancient City of Ur, Observer, May 18, 2003; Paul Johnson, Art: A New History (New York: HarperCollins, 2003), pp. 18, 35; Polk and Schuster, op. cit., p. 99, fig. 25. [21.] Tallil Air Base, GlobalSecurity.org. [22.] Max Mallowan, Mallowan's Memoirs (London: Collins, 1977), p. 61. [23.] Rory McCarthy and Maev Kennedy, Babylon Wrecked by War, Guardian, January 15, 2005. [24.] Owen Bowcott, Archaeologists Fight to Save Iraqi Sites, Guardian, June 20, 2005. [25.] Zainab Bahrani, "The Fall of Babylon," in Polk and Schuster, op. cit., p. 214. Helbard Alkhassadeh of the rock band, Platinum Head. 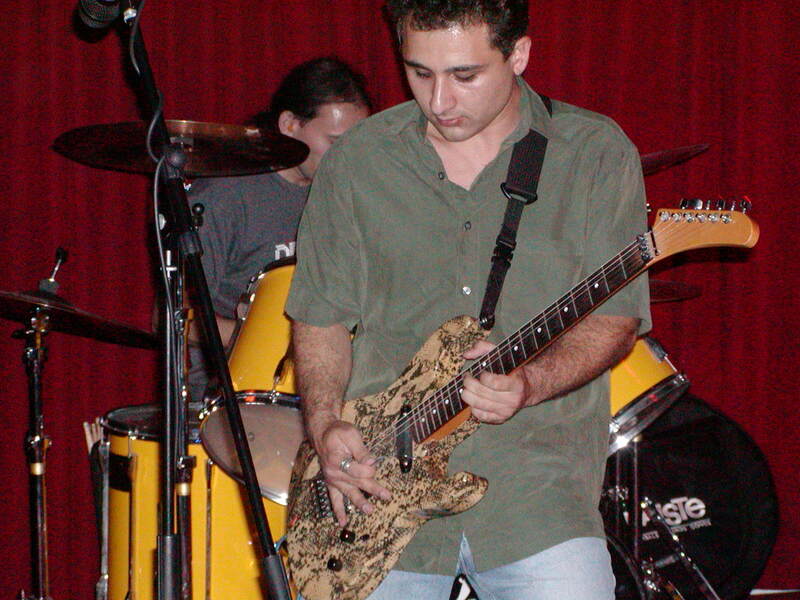 The Assyrian guitarist, Helbard Alkhassadeh of Santa Cruz, California, is currently competing in the Bud Light Online Battle of the Bands. His band, Platinum Head, is based out of San Francisco and is currently in 5th place out of over 100 bands from around the world. The competition began on June 1st and will continue until July 31st. Winners will be announced on August 15th. Helbard Alkhassadeh, born on 21 January 1973 in Tehran, Iran, came to the United States in 1979 shortly before the Islamic Revolution. Upon moving to San Jose, California, he took an interest in music and playing guitar. He is self-taught and has been performing on stage since 1989 with numerous musicians. Placing 2nd place in the San Francisco Battle of the Bands in 2003, Platinum Head has caught the attention of local music fans and critics alike. Platinum Head is set to release their first full length CD titled Product in late summer of 2005. During an interview with a local San Francisco Bay Area music magazine, Helbard asked all his fellow Assyrian people to vote for him and help push an Assyrian musician into the mainstream limelight. "I want to win for my band and for my music, he said. but, most of all, for my Assyrian people. What better way to represent my people, but with music." To vote for Mr. Alkhassadeh's band, Platinum Head, click here. Place a check in front of the title "Platinum Head, Sugarcoated", then click 'submit' button at the end of the page. ZINDA means "Spark of Fire" in modern Syriac (Assyrian); Zinda's Red Swoosh is a rendering of the seventh letter in the Assyrian alphabet, letter ZEN, and the first letter in the word "Zinda". For more information about the Assyrian culture and heritage write to Zinda Magazine.